This summary report compiled by the Education Development Center that captures the input of participants from across the United States and its territories who participated in the White House State-Federal STEM Education Summit this past June. From this input, a Federal inter-agency team of STEM education professionals, guided by the White House Office of Science and Technology Policy, has made significant progress on a new 2018-2023 Federal STEM Education Strategic Plan which will be closely aligned with other goals and priorities of the Administration, such as Cybersecurity, Workforce Development, Apprenticeships, and more. The System Map developed by 100kin10 identifies the underlying causes of our nation's shortage of excellent teachers, especially in science, technology, engineering, and math. The map identifies 100 challenges to preparing and retaining great STEM teachers presented in a unprecedented roadmap that points the way toward transforming STEM education in America. As part of a grant issued by STEMx/Battelle, SCCMS hosted an event to identify South Carolina's 5 Grand Challenges in STEM education. Learn more. Our partner organizations and initiatives serve educators, business and industry leaders, government, community organizers and out of school organizations focused on STEM education and its relevance to economic and workforce development. Designing and delivering customized professional development for continued growth in meeting teaching and learning goals. 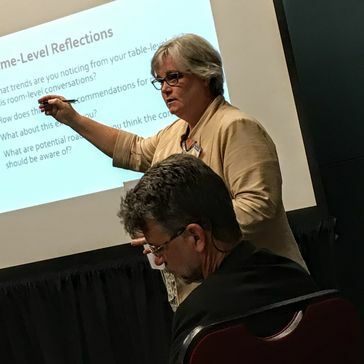 Presenting at local, state and national conferences. Offering STEM learning experiences and support for out of school learning settings in rural areas across the state. Developing partnerships with area companies to support STEM outreach initiatives and provide resources and industry knowledge to educators and communities across the State. Planning and organizing community festivals and events attended by close to 50,000 across the State. STEM Linx, a free resource for posting and finding STEM opportunities developed in conjunction with the Clemson University's Center for Workforce Development and Clemson Computing and Information Technology. Pinterest Boards on a variety of STEM interest areas. On March 7, 2018, South Carolina’s Coalition for Mathematics & Science celebrated 25 years of progress and partnership by honoring educators and business/industry partners who have worked with purpose and passion to increase learning and improve lives through science, technology, engineering, and mathematics (STEM) education. The day began with a gathering in the lobby of the Statehouse for the first ever STEM Education Day at the State Capitol. 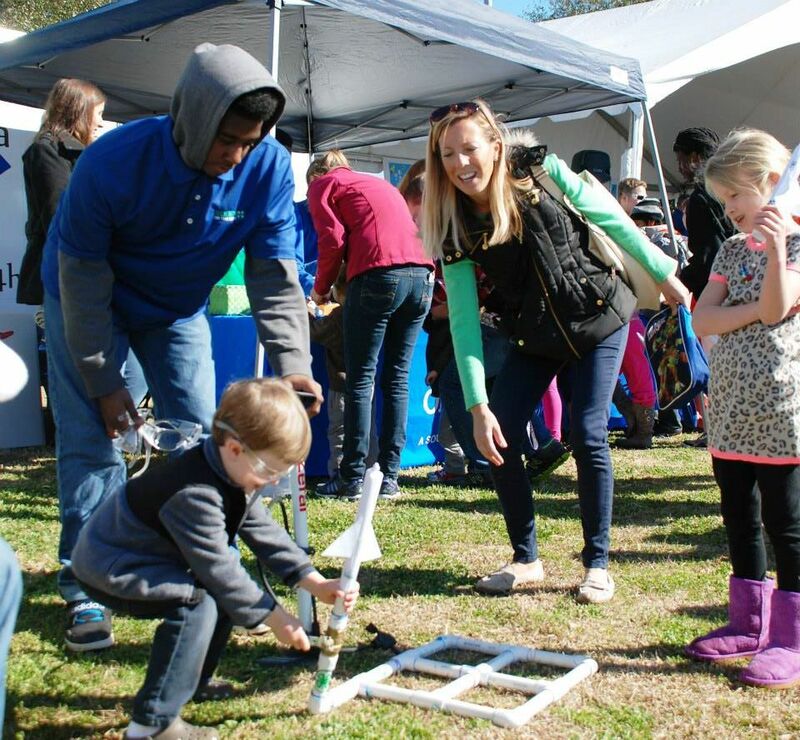 - Governor Henry McMaster shared a proclamation declaring March 7th as STEM Education Day. - State Education Superintendent, Dr. Molly Spearman recognize the Cane Bay H.S. Robotics Team and the state champion, Rohming Robots 4-H Project Club. - Elisabeth Kovacs of the SC Department of Commerce and Melanie Barton of the SC Education Oversight Committee recognized BMW Manufacturing Company, The Boeing Company, The Bosch Community Fund, Comporium, Duke Energy, Fluor, Google, Lockheed Martin, Michelin North America, Santee Cooper, ScanSource, and Total Comfort Solutions for their support of STEM education programs in South Carolina. - SC Future Minds announced a SC STEM Teacher of the Year recognition program. 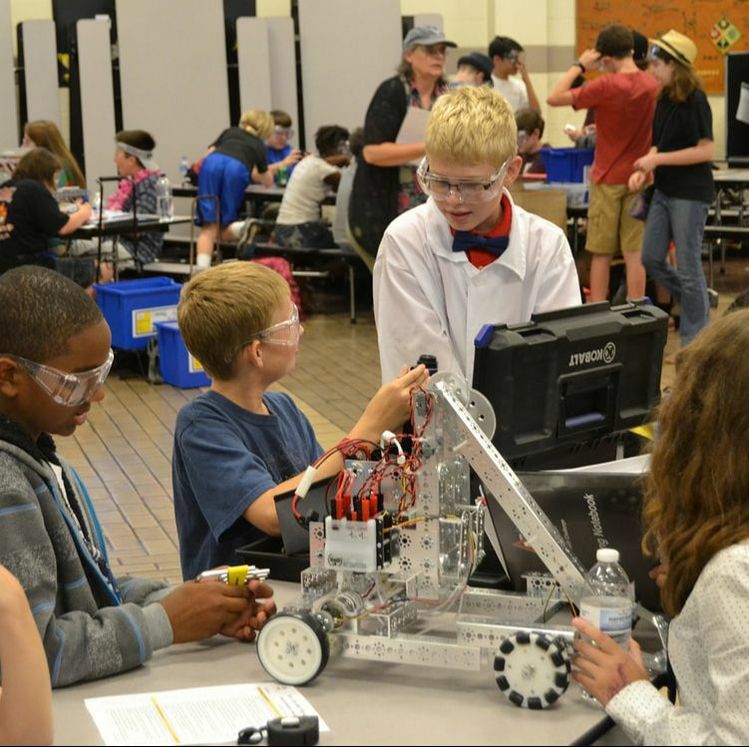 - The draft Grand Challenges in SC STEM Education identified through a partnership grant with STEMx and 100Kin10 were revealed for public comment. Immediately following this public gathering, invited luncheon guests gathered to share stories of STEM success and good fellowship. The celebration was MC’d by Darci Strickland, News 19 Anchor for WLTX-TV, Columbia SC. The guest speaker was The Honorable Regina Schofield, Director of Corporate Engagement & Education Outreach at Battelle. Also recognized were representatives from the five schools awarded the “Growing in SC: The Future of STEAM is Here” grants for new STEM initiatives at their schools.